YMCMB's Lil Twist delivers a new freestyle over ASAP Rocky's "Wild For The Night" instrumental. YMCMB's Lil Twist drops off a freestyle over B.o.B's instrumental. This'll be on his "Wake Up" mixtape dropping on April 27th. YMCMB's Lil Twist releases his latest offering "Contact", with production coming from The Audibles. Originally recorded for Weezy's "Tha Carter IV", this Diplo produced tune was kept for Lil Twist's "Don't Get It Twisted". Twist gets two enormous features from Lil Wayne and Chris Brown. Lil Twist offers up a free easy listening track to his Twitter followers "Hard Times" which is off his upcoming mixtape "Wake Up". New joint produced by Lex Luger, off of Lil Twist's upcoming mixtape "Defeat Aint A Option"
Check out Errrday (100) , the latest from Jae Millz which features a guest appearance from Lil Twist & Gudda Gudda on the. The track was released on Monday, January 16th, 2012. Have you heard Lil Twist's new track Blame Tez (Prod by Black the Beast)? It dropped on Tuesday, December 20th, 2011. Have you heard Lil Twist's new track Reckless (Prod by Lex Luger)? It dropped on Tuesday, December 20th, 2011. Give Getting Crazy (Prod by DJ Mustard) a spin - it's the latest release from Lil Twist, having dropped on Tuesday, December 20th, 2011. Give Twist! (Prod by Beat King Kong) a spin - it's the latest release from Lil Twist, having dropped on Tuesday, December 20th, 2011. Give There She Go feat Lil Za (Prod by Mr. Beatz & Fam) a spin - it's the latest release from Lil Twist, having dropped on Tuesday, December 20th, 2011. Have you heard Lil Twist's new track Steady Hatin (Prod by Black the Beast)? It dropped on Tuesday, December 20th, 2011. Have you heard Lil Twist's new track Godzilla Twist feat Jae Millz (Prod by Black The Beast)? It dropped on Tuesday, December 20th, 2011. 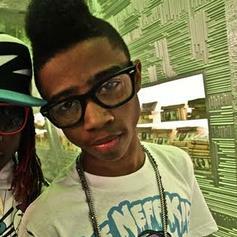 Listen to The Golden Child, a new offering from Lil Twist, which was released on Tuesday, December 20th, 2011. Have you heard Lil Twist's new track Past-Life feat Chris Richardson (Prod by Dot & Pro)? It dropped on Tuesday, December 20th, 2011.